I have been contemplating the idea of offering multiple blog post pages set by topics on my website for some time this year. The thing is that I have three interests in the moments: 1) blogging in English about digital marketing, social media and user experience; 2) displaying my humble photography efforts (yes, I know humble is not the right word); 3) posting in Bulgarian mostly about things happening back home. Expressing thoughts and laying them down on your personal blog is generally an easy thing. Content Management Systems (CMS) like WordPress, Blogger, TypePad and many others are making it that easy. However, they have almost nothing to do with the fact that blogs have one of the highest bounce rates on the Internet. Meaning that users visit your blog, read usually not more than one post and get on with their lives somewhere else. And this is why many bloggers are trying a variety of strategic approaches to offer more focused and organised display of their content. User experience is important, but so is the effort the blogger puts into his personal space while sharing knowledge, emotions and opinions. Keeping the user on your website and giving him the opportunity to stay focused and read more than just one post is not an easy thing. And this is why I wanted to segment my points of sharing by topics (Digital, Photography and Bulgarian posts) in three separate pages. I think that this approach to Information Architecture on my blog offers a better reading experience for my audience, new and returning visitor. Below I will offer you a how-to guide that will lead you to step by step on establishing a second blog page on your WordPress based website. This is the platform I use, so the guide is only valid for WP blogs and sites. 1. 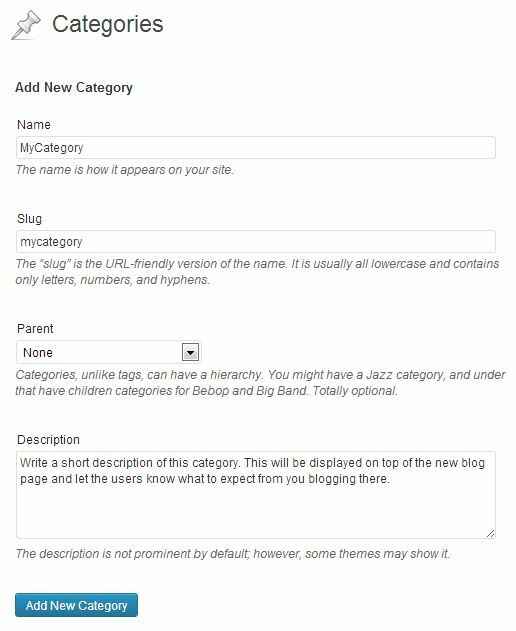 Create a Post Category (I will name it MyCategory for easy reference, but you should set your own name) that will be the title of your new page. Categories can be found when you hover over Posts at your WordPress admin panel. It is important to remember that from the moment all steps from this list are taken, all your posts with this category will appear only on this particular new page and not on the Homepage you display all your writings at. 2. Set MyCategory on all the post that you have already published or create a new post that is categorised with it. 3. Download the PE Category Filter plugin. At the admin panel of your WordPress site, you will need to go to Plugins, Add New and copy paste the name of the plugin. Press Search, click on the plugin and follow the instructions to download and install it. This plugin will help you to exclude from the Homepage MyCategory and display on a separate page. 4. After you downloaded the PE Category Filter you will find it in Settings labelled as PECF Plugin. There you need to select MyCategory. 5. Go to Appearance and then to Menus. Select Top Navigation from the menu to edit drop down at the very top. In my case, it is called Top Navigation, but at your end, it might be call differently. The important thing is to see a tree of all your page titles. If you see them, then this is the one you will be adding the new page too. 6. 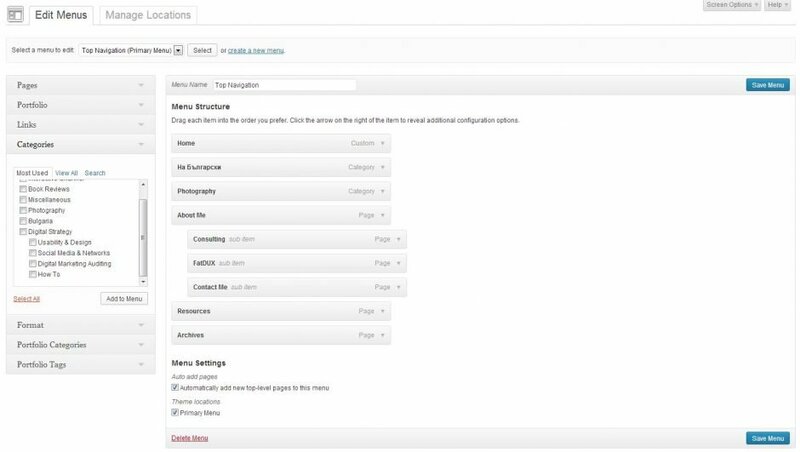 On the left side of the pages tree, you will see a few options – Pages, Links, and Categories. Click on Categories and you will see a list of all your post categories there. Select MyCategory and click on Add to Menu button below the list. 7. Now MyCategory is part of your navigation tree. You can easily change the sequence of how the pages are appearing by dragging the page you want to move and dropping it at the place you want it to be at. 8. Click on the Save Menu button on the bottom right and your new navigation is published with MyCategory being displayed as a separate page. 9. Go to your website and preview your changes. If the MyCategory in not appearing on the navigation, go through the list again and try to figure out what you have not done right. 10. If you have social media channels (Twitter, Facebook, LinkedIn, and Google+ etc.) Let your audience know that you have a MyCategory page now and they are welcome to visit your website to read your fresh content there. 11. Pour yourself a hot cup of chocolate and tell the world that you found my “How to Blog on Multiple Pages on Your Website” post useful. Did you encounter and issues while performing the instructions? Do let me know! Or share your thoughts in the comments section below. In case you are just starting your blogging adventure, here are two great guides on how to start a blog and how to write content for blogs.